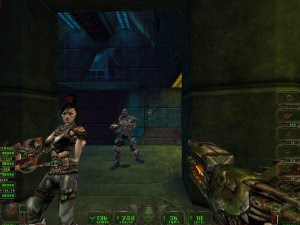 The EO and petroid have worked on a Daikatana version, with which anybody is able to play Daikatana online without any restrictions. This version is based upon the patched salesversion of Daikatana 1.2 and includes anything needed for Multiplayer. All singleplayer maps have been removed, of course. The whole thing is absolutely legal and has been approved by John Romero himself.